Celebrities attract the attention of commercial interests and other public figures. They receive payments from sponsors to endorse brands. They are sought out to appear with politicians during election campaigns. They are used to promote health messages. In other words, celebrities are often perceived to possess qualities that give them special value or what we will refer to here as 'celebrity capital'. This means that celebrities are regarded as being able to add premium value to specific objects, events, and issues and hence render these items more valuable or effective. 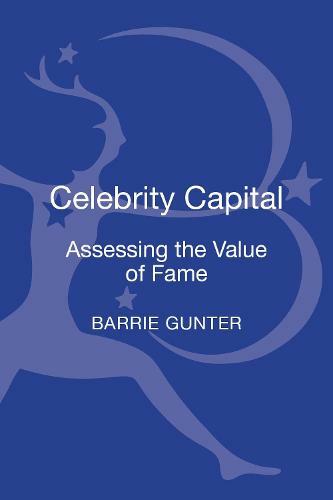 Employing an interesting and new approach to the growing scholarly interest in celebrity culture, Barrie Gunter uses the idea of value as expressed through the term 'capital'. Capital usually refers to the monetary worth of something. Celebrity capital however can be measured in economic terms but also in social, political and psychological terms. Research from around the world has been collated to provide an evidence-based analysis of the value of celebrity in the 21st century and how it can be systematically assessed. Including further reading for students, key points and end of chapter discussion questions, Gunter creates the first methodology to assess the value of fame.